No need for me to un-bury the lead because it’s all in the title. 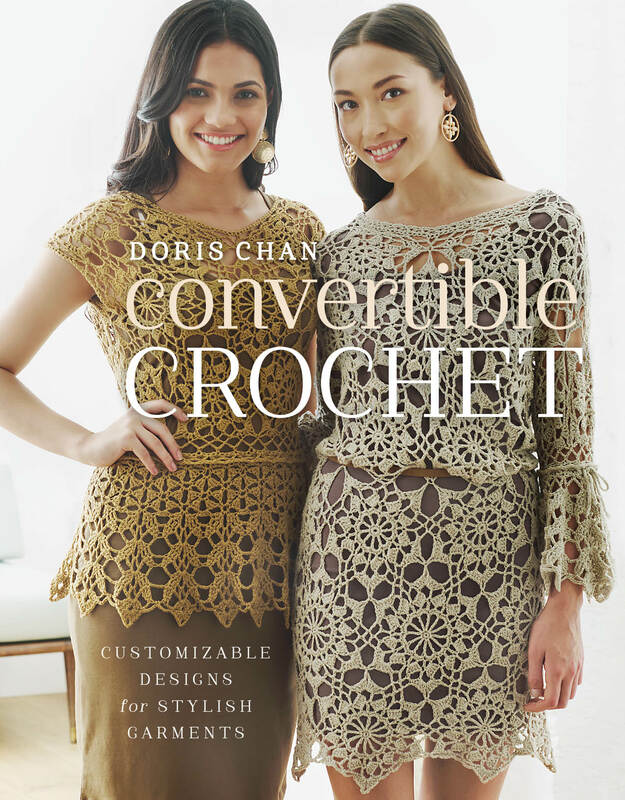 Today begins the sign-up for a prize drawing, the prize being a free hardcopy of my new book, Convertible Crochet: Customizable Designs for Stylish Garments. You may certainly skip all the doo-dah that follows here, and go straight to the comments, add yours to the list, go back to whatever you were doing and wait for the drawing on Friday. I wouldn’t blame you. But for the intrepid crocheters among you, please read on! In one word, this book is about multitasking. It is an investigation and a celebration of designs, motifs and constructions that may be re-configured, assembled and/or styled in myriad ways. It is a big toy box filled with shiny playthings with which you are encouraged to build and experiment (like Legos but not exactly because first you have to crochet the Legos, know what I’m saying?). 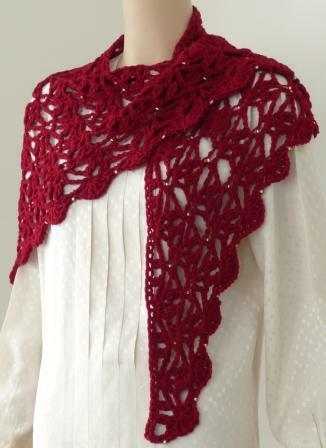 Once you start looking at crochet in this new light, then you can get on with the real fun, which is messing around with what you have learned. Mostly this book is about my obsessive/compulsive approach to making and assembling outside-the-box motifs. Motifs are not new; crochet design history is overflowing with ideas for squares, hexagons, triangles, octagons and circles. But who else thinks up garments using pentagons? It can get complicated, though. It is my hope that the weird constructions will appeal to your inner geek, rather than cause you to run screaming. 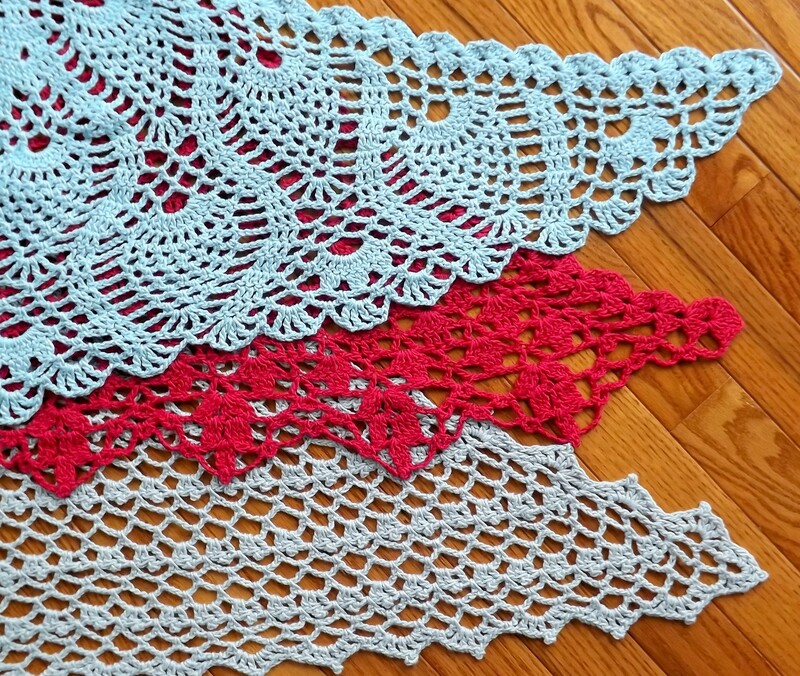 Ending a round of crochet so that your hook is left in the best position to begin the next round. Finding the point singularity when joining a motif to a place where there is already a join. 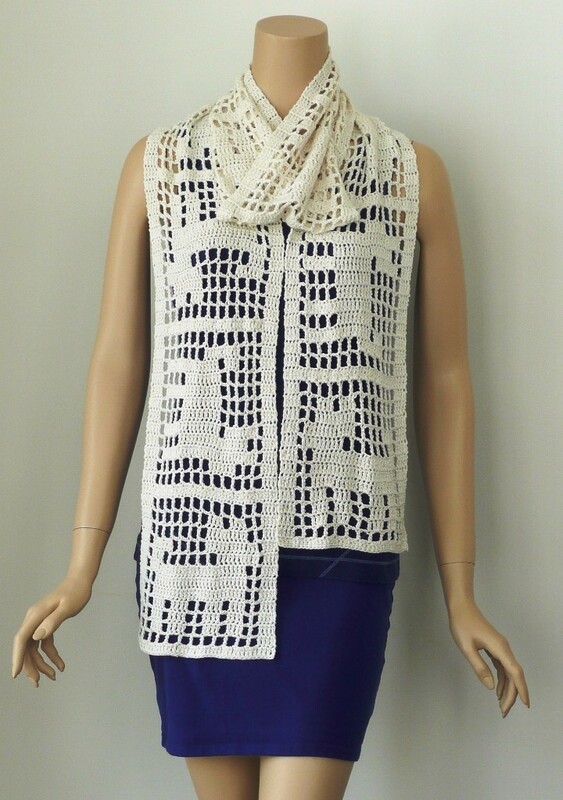 Looking at every edge as a design opportunity; utilizing the spaces and loops of your crochet and using ribbing, strings, button studs and headers to create your own multitasking miracle. If you ever have questions or comments about the book, or need pattern support for the designs, please do not post them here on this blog. 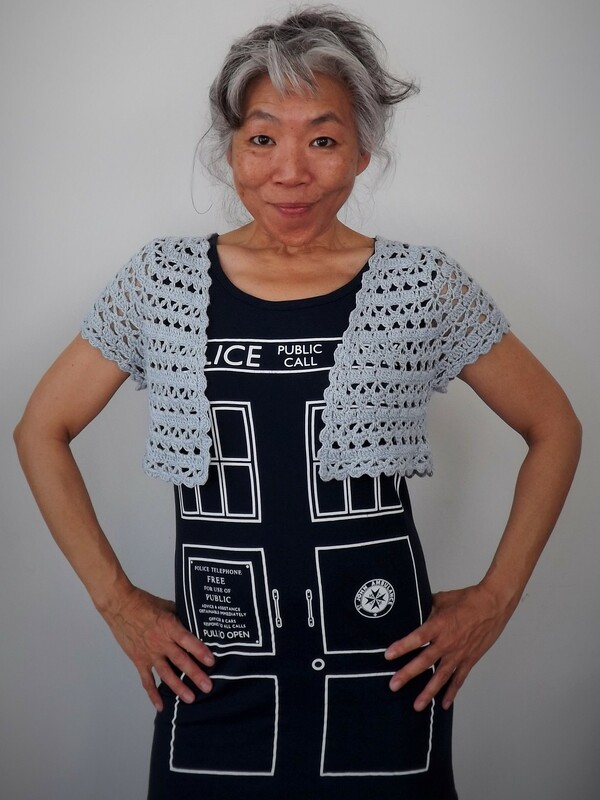 We have a group and a forum at Ravelry.com dedicated to my work, Doris Chan Crochet. If you are not already signed up at Ravelry, go do it because it is the premier on-line source, playground, and social gathering place for fiber enthusiasts. My Rav username is dorisjchan; I am making myself available in the group chat room this week for two live sessions, Wednesday 29 May at 10pm Eastern time, and Saturday 1 June at 1 pm Eastern time, if you’d care to pile in. Otherwise, you can post your questions or comments on the forum and the posse (led by my group moderator, Rav username Amerz) will be along to help. Good luck to all. I’ll be back on Friday with a winner.